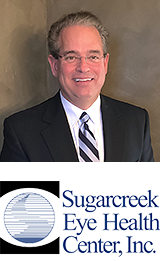 Dr. George Reed and his Sugarcreek Eye Health Center staff are now proudly part of Clarkson Eyecare! If you’ve been a patient of Dr. Reed and his experienced team of optometrists you’ll continue to receive the high level of service to which you’ve become accustomed, with the same friendly staff to assist you in the purchase of eyeglasses and contact lenses. Looking for a new eye doctor in the Dayton/Bellbrook, Ohio area? Dr. Reed is accepting new patients now! Request an eye exam at the Sugarcreek location, today. You can call the office at (937) 848-6601.